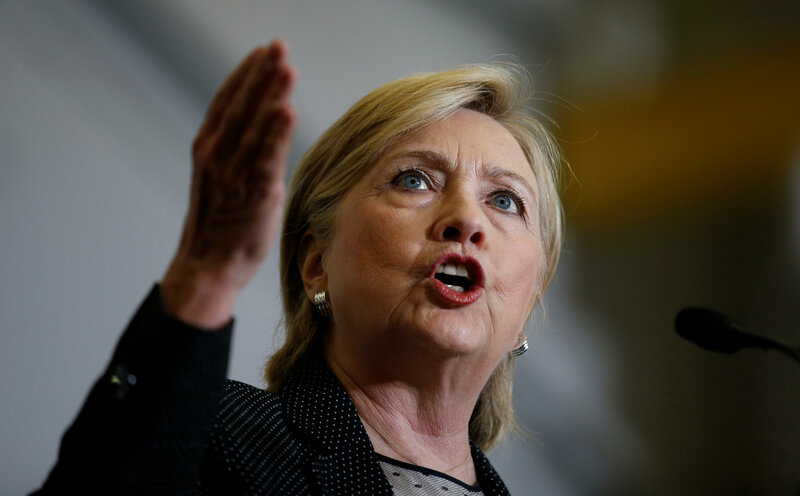 NEW YORK -- Hillary Clinton released her latest tax return on Friday, which showed that she and her husband, former President Bill Clinton, reported earning more than $10.7 million in 2015 and paid a combined federal, state, and local effective tax rate of 43.2 percent. The Clintons donated about $1 million, or 9.8 percent of their adjusted gross income, to charity last year. The new release -- which also includes ten years of Virginia Sen. Tim Kaine and his wife Anne Holton's tax returns -- comes as the Democratic nominee has upped the pressure on her opponent, Donald Trump, to release his. "Hillary Clinton and Tim Kaine continue to set the standard for financial transparency," said Clinton's communications director Jennifer Palmieri in a statement. "In stark contrast, Donald Trump is hiding behind fake excuses and backtracking on his previous promises to release his tax returns. He has failed to provide the public with the most basic financial information disclosed by every major candidate in the last 40 years. What is he trying to hide?" Earlier Friday, the Clinton campaign released a new web video featuring prominent Republicans, including former Republican nominee Mitt Romney and Texas Sen. Ted Cruz, theorizing about why Trump has not made his tax returns public. The video also shows Trump himself. "If you didn't see the tax returns, you would think there is almost, like, something wrong," Trump says in a clip included in the video. In an interview with Fox News on Thursday night, Trump said again that he is under "routine audit" and that's why he has not released his tax returns. "Every lawyer tells you, including Greta who is a lawyer," Trump said, referring to Greta Van Susteren, "She said when you are under a routine audit, you don't give your tax returns." Last July, Clinton posted eight years of her tax returns on her campaign website. The documents showed that the Clintons reported earning $28.3 million in 2014 -- more than double than in 2015 -- and a total of more than $140 million between 2007 and 2014. According to the documents posted Friday, Kaine and Holton reported earning $313,411 in 2015 and paid a combined federal, state, and local effective tax rate of 25.6 percent. Over the course of the last ten years, the couple donated donated 7.5 percent of their adjusted gross income to charity.